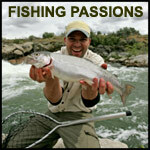 Fishing Passions is a 100% free online dating site for singles who love to fish. Join for free and take advantage of free email, photo personals, fishing chat, forums, blogs and more. Love fishing? Looking for others who love fishing? Check out Meet Fishing Lovers for a site filled with other fishermen (and fisherwomen). ;) It only takes a few minutes to sign up and check out 'the goods'. Looking for someone fun to fish with? 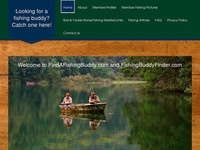 Well, the name pretty much says it all, Find a Fishing Buddy is designed to connect people who are looking for other fisherman in their State. While the site is NOT a 'dating site', chemistry is chemistry and who knows what can happen over a shared interest. Freshwater? Saltwater? Join to see if this is the site for you. "Seriously, it was this big!" 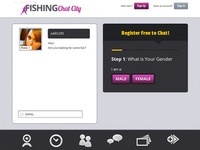 If you love fishing and your are looking for others to fish with, or just to chat with about fishing, then Fishing Chat City is the site for you. Join for free and tell everyone how big your last catch was. Some websites use weird names to set themselves apart, in hopes that their weird name will catch on. Other sites choose a name that pretty much spells out exactly what their site is all about. One guess as to which type of site 'Fishing Dating' is. If you like to fish, and you wouldn't mind finding others who also like to fish, then this site seems perfect. 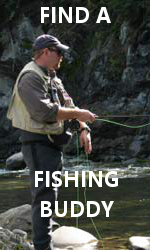 Sign up and check out all the fishermen and fisherwomen looking to meet. Have fun! Guess what you can do on 'Date a Fisherman'? 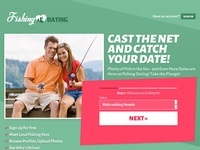 While there are niche dating sites for just about everything these days, there are only a handful specific to fishing. So, if fishing is 'your thing', then Date A Fisherman is a good place to look for other singles who love fishing.